Affordable Granite & Cabinetry Outlet offers beautiful cabinetry for any kitchen type and budget. Let our kitchen design experts help you explore the best cabinet designs and options for your kitchen. 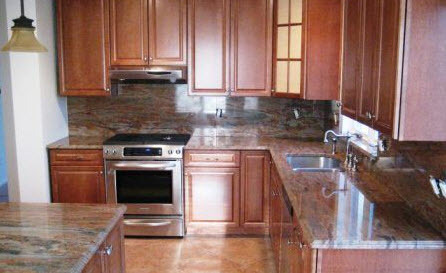 Why Choose Affordable Granite & Cabinetry Outlet in Hudson Valley for Your New Kitchen Cabinets? Schedule your free cabinetry consultation with our team today to learn how we can get you your dream kitchen at an affordable price! If you can’t make it to our Newburgh showroom, you can view our kitchen cabinet gallery to see examples of our previous work. From choosing the perfect cabinet color to the cabinet installation itself, at Affordable Granite & Cabinetry Outlet, we partner with you from start to finish. Our kitchen cabinets are available in stock cabinets, semi-custom, and custom styles. If you are uncertain about which cabinet type is perfect for your kitchen renovation, our kitchen design experts can help you select the best option for your kitchen size and budget. We also provide expert cabinet installation for all of our kitchen cabinets. Why do it yourself when Affordable Granite & Cabinetry Outlet can help improve the function and appearance of your kitchen with affordable cabinets and expert service and installation? Schedule your free kitchen cabinet estimate today!